Getting a credit card shouldn’t be as hard as applying for a mortgage. Many credit card applicants are looking for products that offer instant approvals, so that they know where they stand and can look forward to receiving their new card. It also feels good to be immediately approved. There are three types of cards that offer instant approvals. The first are prepaid debit cards that will approve all applicants once their identity is confirmed. These are not credit cards, so customers cannot incur debt, but neither will they have a payment history that will be reported to the consumer credit bureaus. With these products, cardholders must load funds first, which then become available for purchases, anywhere credit or debit cards are accepted. The next type of card is a secured credit card, which typically offers instant approval to applicants who can both prove their identities and have discharged any bankruptcies. Once approved, customers must pay a security deposit which then becomes the cardholder’s line of credit. Otherwise, these cards work much like standard, unsecured credit cards. Cardholders receive a monthly statement and must make a minimum payment. They will also be charged interest if they choose to carry a balance. Having a secured credit card also allows cardholders to more easily rent a car or reserve a hotel room. Finally, many standard credit cards will offer instant approval after an online application. And when there is no immediate decision offered, applicants always have the option of calling the credit card issuer to receive an instant decision over the phone. In most cases, customers will be presented with a number to call anytime an application is submitted and there is no immediate decision. 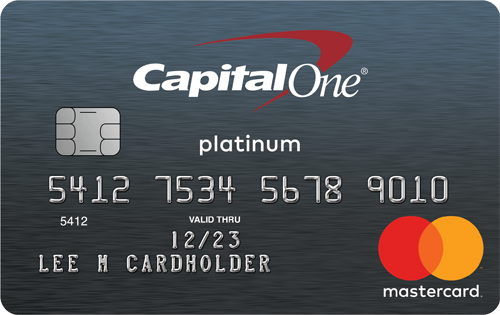 The Capital One Secured MasterCard is one of the leading secured cards from a major card issuer. New cardholders must pay a refundable security deposit of $49, $99, or $200 depending on their credit worthiness in order to receive a credit line of $200 – $3,000. This is in contrast to most other secured cards that will not extend a credit limit beyond the security deposit itself. Cardholders are also offered use of Capital One’s Credit Tracker app, which allows them to monitor their credit scores and to examine what would happen under different possible scenarios. Cardholders also enjoy all the travel insurance and purchase protection benefits offered though a MasterCard from a major card issuer. And unlike most secured cards, there is no annual fee, and no foreign transaction fees imposed on charges processed outside of the United States. The Milestone® Mastercard® – Bad Credit Considered offers a pre-qualifying feature to determine if applicants are eligible, followed by a quick decision making process. Best of all, the pre-qualification has no impact on your credit score. This card is an entry-level, standard credit card, which is designed for those who are rebuilding their credit, but prefer to avoid having to make a deposit required by a secured card. It has an annual fee of between $35 and $99, depending on the applicant’s credit profile. This card has a 25-day grace period after each statement cycle during which cardholders can make full payment of their statement balance in order to avoid interest charges. In addition, this card has a reduced 1% foreign transaction fee, as opposed to many card’s 3% fee. Created by recording industry mogul Russell Simmons, the Rush Prepaid Visa card is a prepaid debit card, not a credit card. This allows you to enjoy much of the convenience and security of a credit card, without worrying about debt. There is a one-time fee of between $3.95 and $9.95 when you make your first money load money onto you card, then you have your choice of two different fee plans. The Pay As You Go Plan doesn’t have a monthly fee, although there is a $1 fee per transaction, with a maximum of $10 each month. Alternatively, the Unlimited Plan has a monthly fee of $5.95 with direct deposit, and a $7.95 without. This plan has no transaction fees, and there are no ATM withdrawal fees for either plan when making a withdrawal from a machine that is in-network. With the Ready Visa Prepaid Debit card, anyone can apply with any credit history, and receive instant approval. Funds can then be loaded by direct deposit, Green Dot reloads and MoneyPaks, as well as the Visa ReadyLink network. In addition, money can be added by direct transfers from a checking or savings account, or by transfers from other Ready debit cards. Once loaded, the funds can be used anywhere that Visa cards are accepted. Other features include free credit monitoring, online bill payment, and mobile banking. Customers have the option three different fee structures that vary in monthly fees and transaction fees. For instance, the Control plan features no monthly fees but charges $1 per transaction, and the Select plan has a $9.95 monthly fee and no transaction charges for purchases. The First Progress Platinum Select Mastercard Secured Card offers a quick online application and a new expedited processing option. Applicants have no credit history or minimum credit score required for approval, and receive a full featured Mastercard. Payments are reported monthly to all three major consumer credit bureaus to help you establish your credit history. As a secured card, your credit line secured by a fully-refundable deposit of between $200 and $2,000 which is submitted with your application. You can receive your deposit back at any time just by paying off your balance. There is an annual fee of $39 with this card.